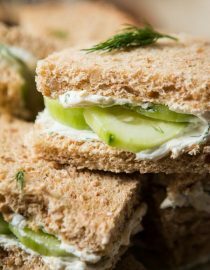 The best lemon dill cucumber sandwiches I’ve ever had added a touch of Greek yogurt to the spread. 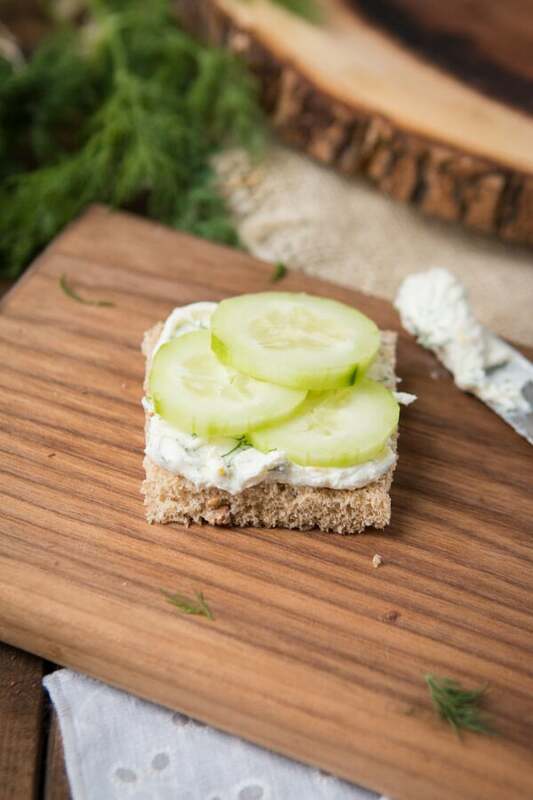 Try this awesome tea sandwich recipe at your next party with eureka!® Organic Bread! Cucumbers provide anti-inflammatory properties, antioxidants, and anti-cancer agents. And their crunch is perfect in a sandwich. Cade and I both wanted to work with eureka!® Organic Bread but deciding on a recipe together was tricky. I happened to mention that I remember my Mom having a garden party in our backyard and someone brought cucumber sandwiches and Cade was like, “What’s a cucumber sandwich? Just cucumbers? !” It was decided on, cucumber sandwiches would be our recipe. My mom often worked with a group of young women when I was growing up and on one occasion they held a silly Mother’s Day garden party, complete with garden hats in our backyard. I wanted to go so bad, but I was little and this was something I’d have to wait a few years to attend. It looked like so much fun to a little girl and I was beyond thrilled when there were some fresh flowers left over that she let me play with. That’s also the first time I’d ever seen a cucumber sandwich and I didn’t know what to make of it. 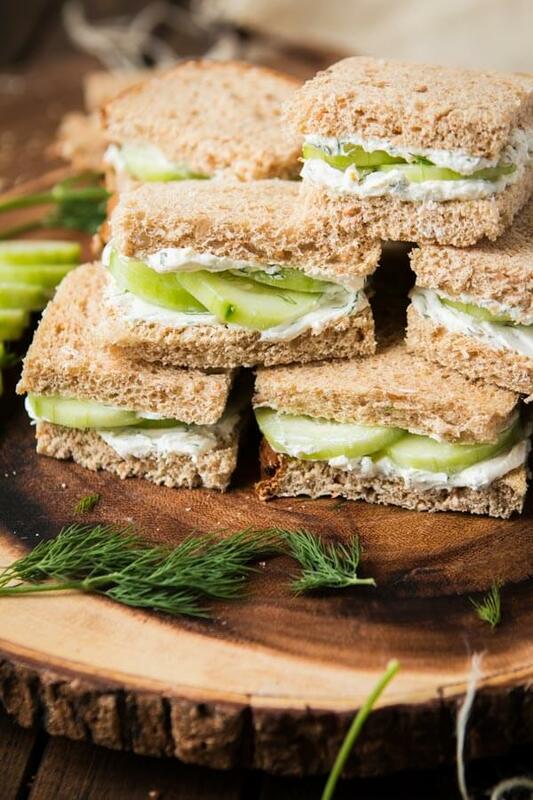 Little white bread squares with a slice of cucumber and plain cream cheese. With spring in the air I just had to recreate the classic tea sandwich but with our own twist. Cade was in charge of the bread and I don’t know why, but I was a little nervous he wouldn’t choose a good one, haha I need to be more trusting. He came home with Saaa-Wheat! eureka! Organic Bread because according to him, it’s bursting with rich flavor and tasty goodness and no artificial flavors, colors or preservatives. I’m pretty sold on that! Bread was totally boring and not super good for you when I was little, but I’m loving how many varieties are out there now. 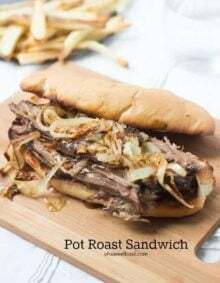 If you’re sitting there thinking that you’re a die-hard fan of the processed white stuff just trust us this one time, it’s ten times more flavorful of a sandwich when you choose a good bread, like eureka! 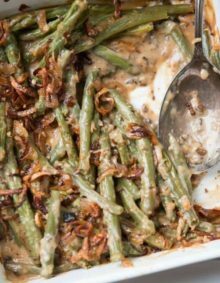 We lightened the whole thing up with a little greek yogurt which makes the spread more nutritious and fluffier, some lemon and dill to brighten the flavors and keep them fresh to match those cool, crisp cucumbers and of course added some lemon juice as the acid really cuts down on the bland cream cheese. Well, for starters, Greek yogurt is thicker and denser than its non-Greek counterpart. Where regular yogurt is almost pourable, Greek yogurt is nearly solid—you can practically stick a spoon upright in it. And that’s because Greek yogurt is strained, while regular yogurt is not. Greek yogurt is just what you get when you take regular yogurt, plop it in some fine mesh cloth, and allow some of the liquid in it—whey, to be more precise—to slowly drain out, resulting in a thicker yogurt with less moisture. This process changes the texture of the yogurt without removing the satisfying sourness that we associate with all yogurts. What’s the Difference Between Cream Cheese and Neufchatel? Actually we use Neufchatel because it’s a little healthier than regular cream cheese. So what’s the difference between cream cheese and neufchatel? American Cream Cheese and American Neufchatel are seriously the same thing! Or at least they taste and work the same. The biggest difference is that the neufchatel is made using only milk (23% milkfat), while cream cheese is made with milk and cream (33% milk fat) so it’s a little more fattening that the first. 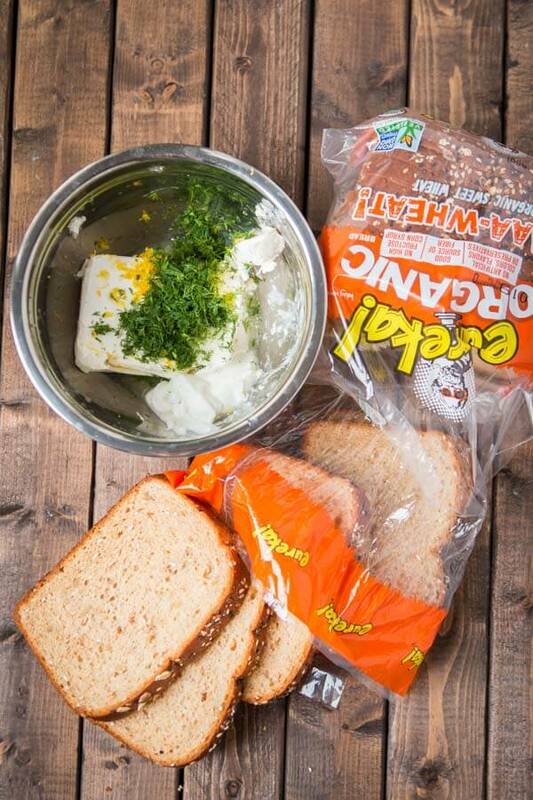 In a bowl, add the cream cheese, yogurt, lemon zest, vinegar, sugar, juice, and dill. Mix with a wooden spoon until smooth and season to taste. Cut the bread in half or into quarters depending on size you want. 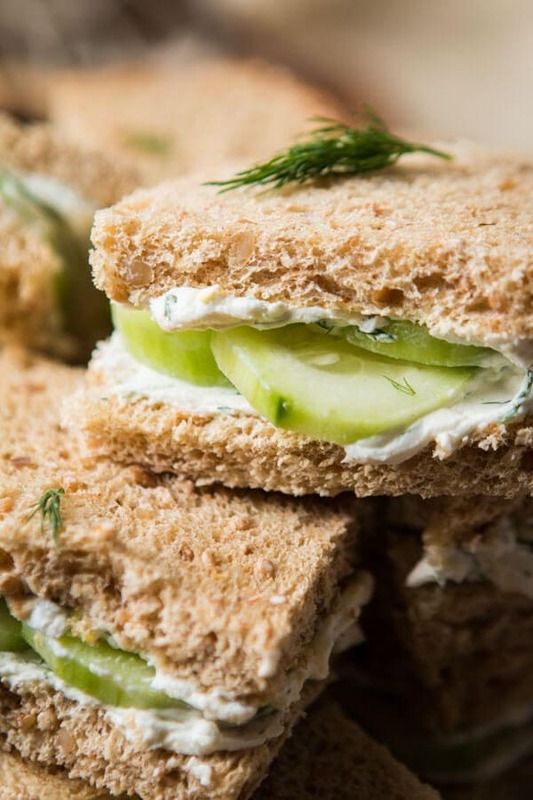 Spread the mixture on each half of the bread and 2-3 cucumber slices on top of one piece. Close the lid and repeat with remaining mixture. This is a sponsored conversation written by me on behalf of eureka!® Organic Bread. The opinions and text are all mine. 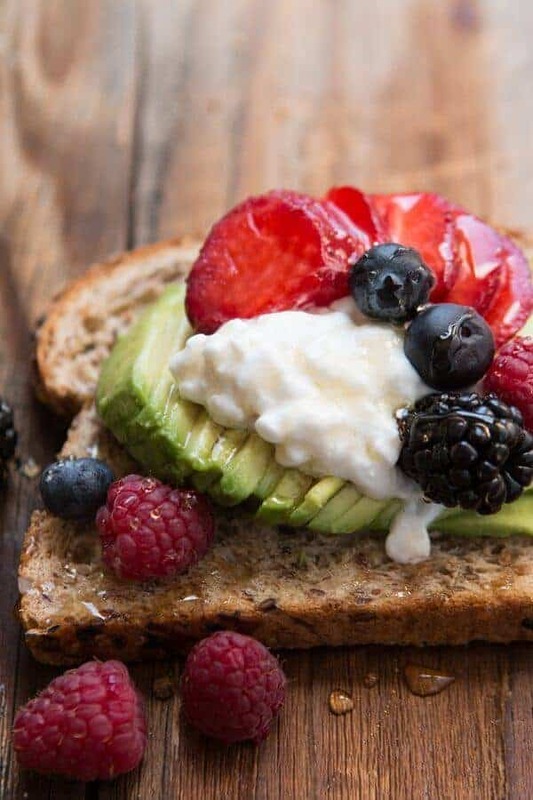 If you’re looking for healthy meal ideas you can take your favorite avocado toast 6 ways and you’ve got breakfast, lunch, and dinner covered! This is a sponsored conversation written by me on behalf of eureka! Organic Bread. The opinions and text are all mine. 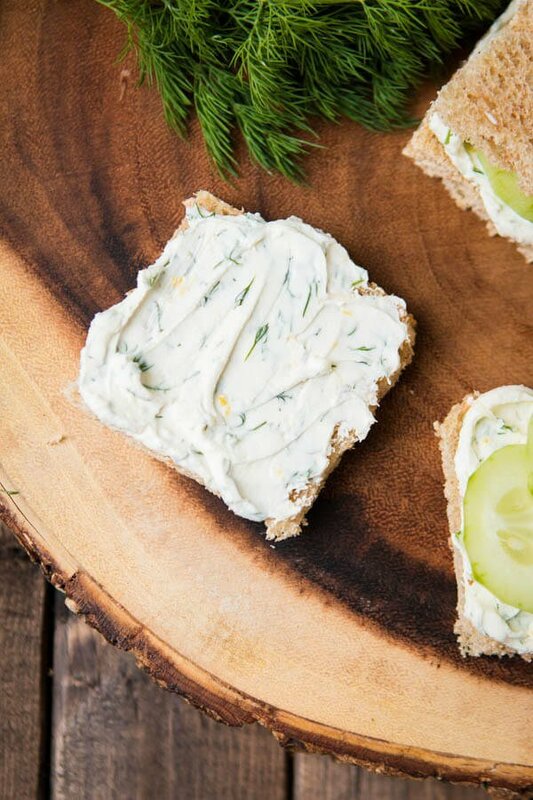 Could I make this cream cheese spread the day before? 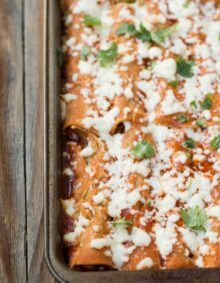 Hi Carrian and Cade – the recipe soinds yummy… just wondered if you intended to include in your directions what to do with the vinegar and sugar. I assume that was for the cucumber? Can’t wait to try this! Hey Lynn! The vinegar and sugar go into the spread listed in step 1 in the directions. We would love to hear what you think once you try it!! Thanks for leaving a comment! I may have missed it, but what didn’t you do with the vinegar and sugar? Hi Amy, you add it with the cream cheese mixture. Thanks! That silly Mother’s Day garden party sounds like the best tradition! We’re on the same page with pretty snacks today!